So Lonely in Gorgeous: 'In Another Dimension With Voyeuristic Intention. Well Secluded I see all...' The Rocky Horror Picture Show Collaboration. 'In Another Dimension With Voyeuristic Intention. Well Secluded I see all...' The Rocky Horror Picture Show Collaboration. What was meant to be a quartet, turned into a duo...but, I'm happy to do my first collaboration with my pal, the stunning Monika from Rocaille Writes. So, why don't you pay her a visit, or maybe a bite and checkout her Columbia. 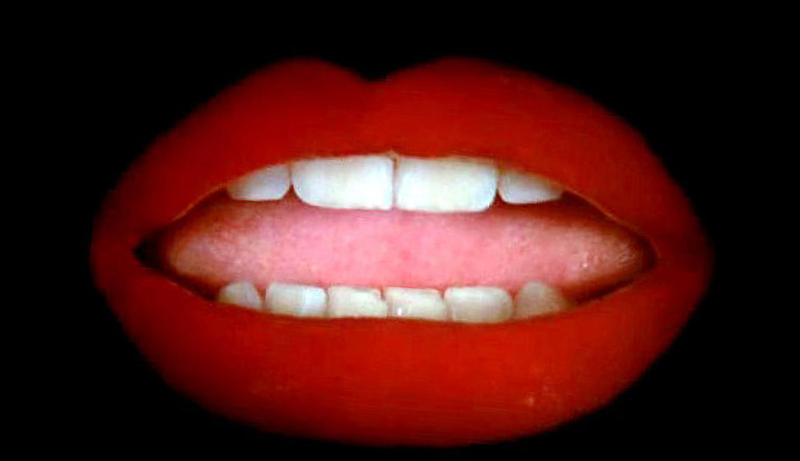 The Rocky Horror Picture Show holds a special place in my heart. As a kid, in the month leading up to Halloween, I would watch snippets of the film (particularly those of the time warp scene). I was captivated by the makeup, costumes, music, and overall dark, yet camp, tone of Rocky. When I finally watched the entire film, it tapped into my subconscious, and I was hooked. I studied the movie incessantly, participated in the midnight showings, and in my senior year of high school, I got to play one of my favorite characters, Magenta, in our group musical ensemble. I swore, if I didn't get the part, I was going to have to Tanya Harding someone. It's been well over 10 years since I've seen The Rocky Horror Picture Show. So, in remembrance of the spirit of the characters and film, I popped in the DVD...and this girl still has it! I remembered everything; reciting each line, and singing along, as I did things around my apartment. A fun way to get your cleaning done. No need to adjust your monitors, this is my natural hair. I just combed out the curls to give it that Magenta flare. Also, this collaboration was very last minute. So, I wasn't able to get a costume mailed out to me on time. dr.brandt Pores No More Pore Refiner Primer. Dolce & Gabbana The Foundation Perfect Matte Liquid Foundation in Natural Glow 100. 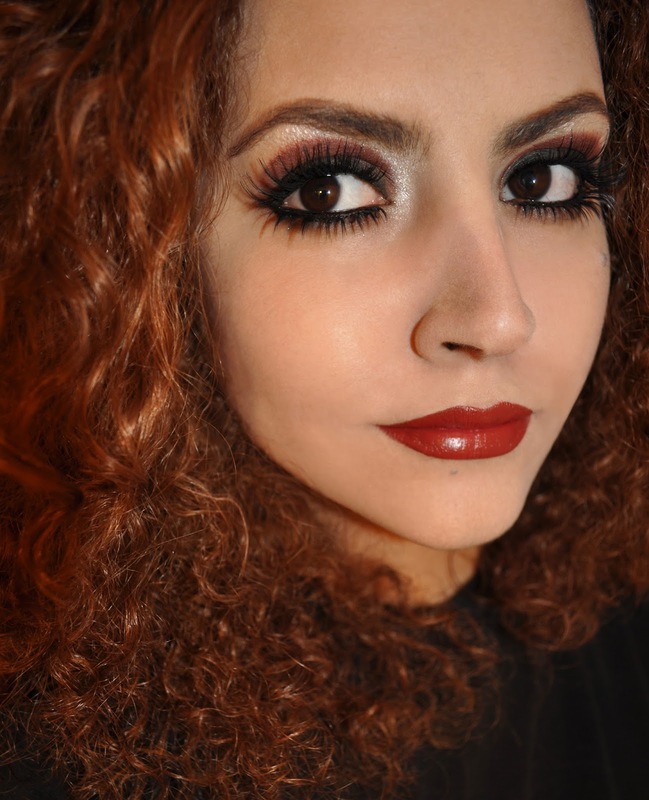 Faceatelier Ultra Foundation in Zero Minus (mixed in with the Dolce & Gabbana Foundation). Clinique Blended Face Powder in 08 Transparency Neutral (slapped on heavily to give the skin that extra powdery look). MAC Paint Pot in Quite Natural (used as a base to create the half circular shape. Also used to fill in my brows). MAC Eyeshadow in Corduroy (patted on the lid). MAC Blush in House Wine (layered over Brown, Now). The Body Shop Shimmer Cube 03 Shade Snow White from the Cubes Palette 20 (used to highlight the shape and on the brow bone). Italia Ultra Fine Eye Liner in Black (blended out on the upper and lower lashline, and used to tightline and on the waterline). 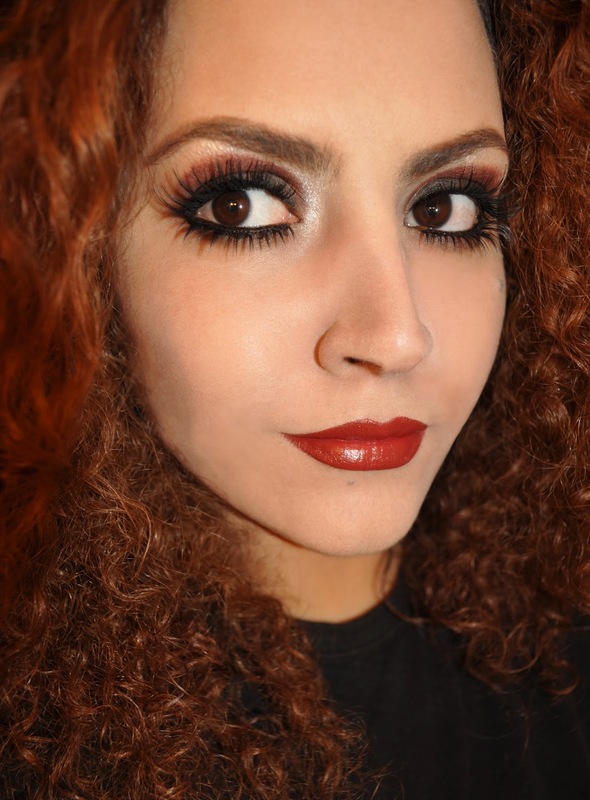 Red Cherry False Lashes in #16 (top). 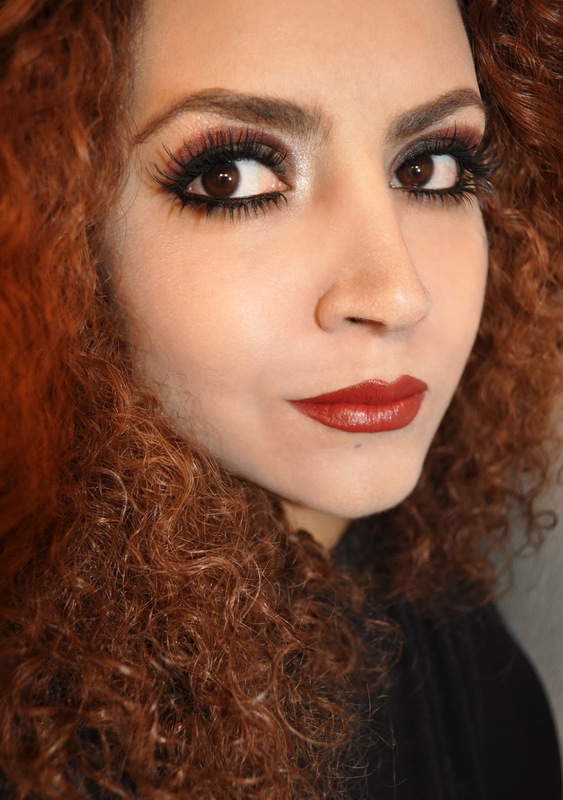 Dolly Wink False Lashes in 1 Dolly Sweet (bottom). MAC Lipstick in Viva Glam. Rimmel London Lasting Finish Lipstick in 136 Balistic. Hope you enjoyed this Halloween collaboration as much as I did. And don't forget, Don't Dream It, Be It! Did you do anything for All Hallows' Eve? If you, what did you dress as? Liz, you look beyond fabulous!!! And how jealous I am of your natural curls, they're beautiful. Hahah, I find it pretty funny that we both ended the post with the same tagline. Thanks for including me in the collab, it was a lot of fun! Just went to Monika's site and you also look the part as Magenta! Love both of your renditions, great fun theme! Liz you have amazing hair!!! �� you have the most fun ideas! I have at least another year to finally watch the movie now. Your interpretation is so skilled. You have the hair I always wanted...so jealous! You and Monika nailed your looks, totally true to the movie.